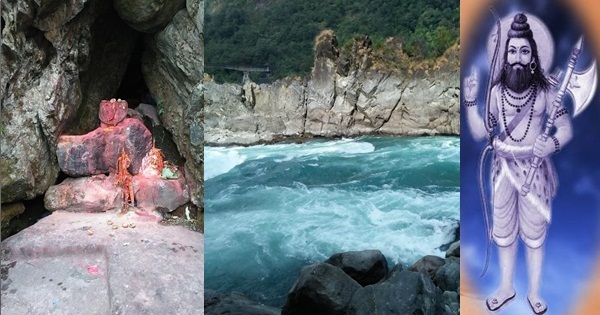 Parshuram Kund! 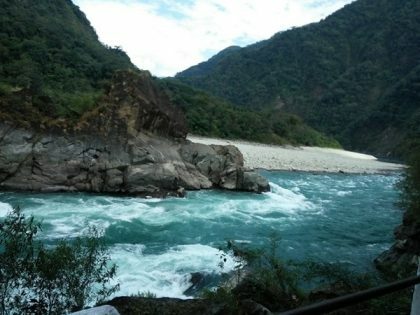 Not all Hindus have heard about this place of pilgrimage located in Kamlang Reserve Forest area on the Brahmaputra plateau near Tezu in lower Lohit River of Lohit district in Arunachal Pradesh. This shrine is dedicated to Maharishi Parshuram. 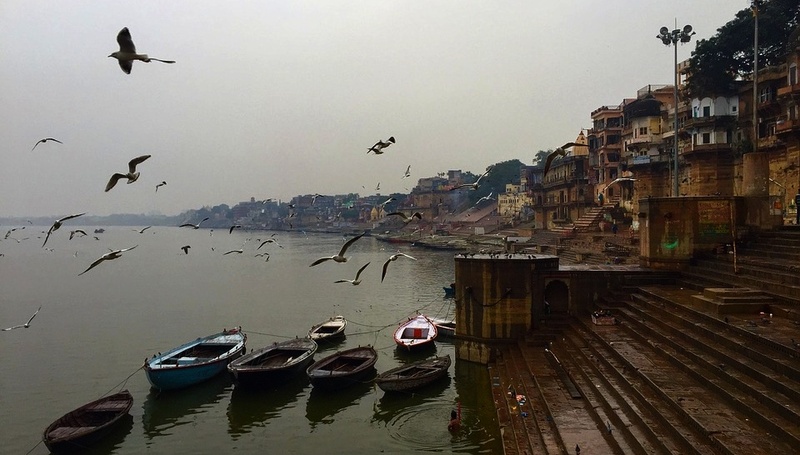 A dip in this sacred kund is believed to wash away one’s sins. The most number of visitors are witnessed during Makar Sankranti (mid January) when Sadhus and devotees take a holy dip in the kund water. An average of around 70,000 -80,000 devotees visit Parshuram Kund during Makar Sankranti every year. 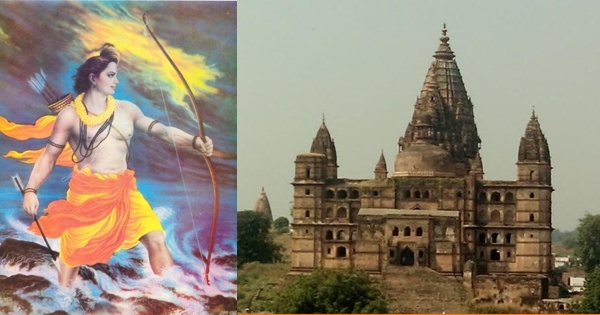 There are three Parshuram Kshetras in India that are places of pilgrimage dedicated to the Sage. One is in the Konkan region, called Parshuram Bhumi, one in Odisha, called Parshuram, and one is in Arunachal Pradesh called Parshuram Kund. Devotees throng all the three Kshetras round the year. It is believed Parshuram created the Konkan land; he is thus the presiding deity in the region. At Arunachal Pradesh, the Maharishi achieved salvation. 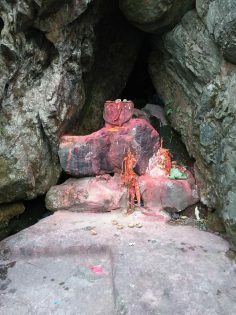 At Mahendragiri mountain located in Paralakhemundi subdivision of Gajapati district of Odisha, he is believed to be doing tapasya. Originally the site of Parshuram Kund was huge, until the 1950 earthquake covered it. This earthquake caused major damage to life and property in the Northeast. Another kund was automatically formed in place of the old with massive boulders embedding themselves in a circular formation in the river bed. At the main area of the kund, water is luke warm while at the other points, it is cold. 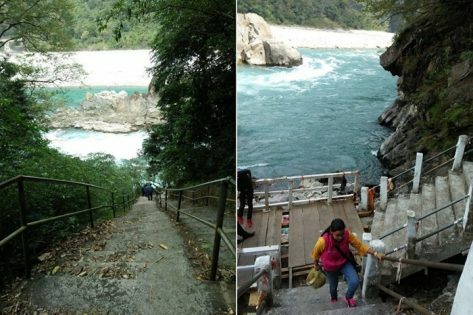 Sanyasis take care of the Parshuram Kund shrine. Maharishi Parshuram is the sixth incarnation of Bhagwan Vishnu. 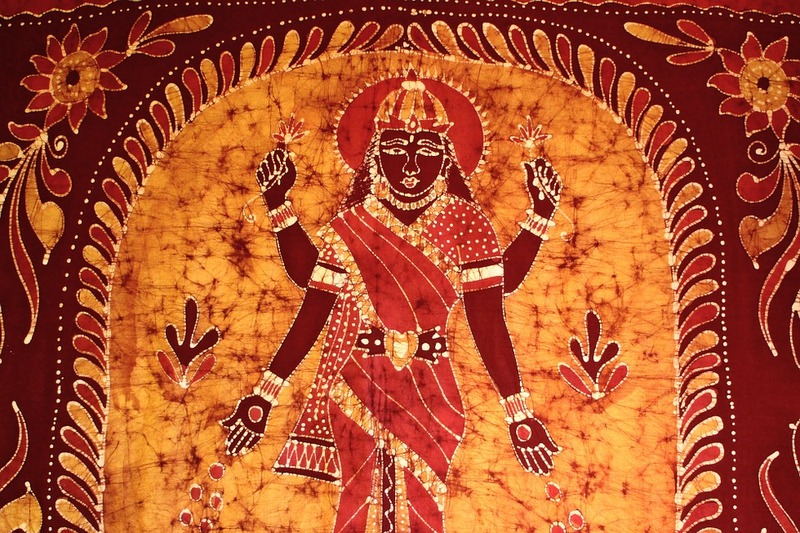 Though the concept of Vishnu’s Avatars varies across sects, especially in numbers and the incarnations, the most widely believed is the Dashavatar (ten Avatar) concept. All nine Avatars of Vishnu incarnated at different periods at a time when chaos and evil prevailed on earth. And each Avatar put an end to evil forces and restored cosmic order. These nine Avatars in chronological order are Matsya, Kurma, Varaha, Narasimha, Vamana, Parshuram, Rama, Krishna, and Balarama or Buddha. Kalki, the 10th Avatar of Vishnu is yet to incarnate. It is believed he will be born at a time in Kaliyuga when Prithvi will be overburdened with evil. 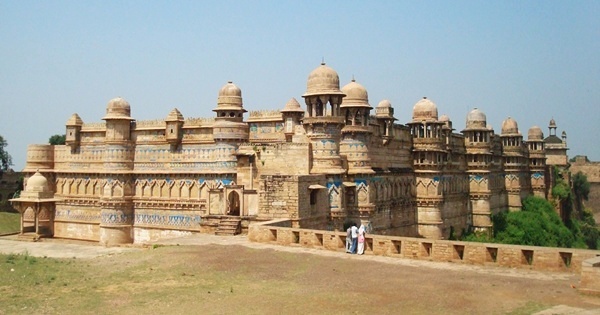 And Kalki will appear to rid Prithvi of the evil forces. Do you know Parshuram is the only Avatar of Vishnu who is a Chiranjivi, i.e. destined to never die and remain immortal in his form? There are seven Chiranjivis including Parshuram in Hinduism, who are destined to live on Prithvi forever. The other six Chiranjivis are Rishi Ved Vyas, Hanuman, Vibhishan (brother of Ravana), Ashwatthama (son of Dronacharya), Mahabali (who was pushed to patal by Vaman Avatar of Vishnu), and Kripacharya (Guru of the Kauravas and Pandavas). As a Chiranjivi, Parshuram is believed to be in meditation at present at the Mahendragiri mountain in Odisha. Why did Vishnu incarnate as Parshuram? The Sage was born to Jamadagni (one of the Saptarishis) and Renuka (daughter of Raja Renuka). Jamadagni’s mother Satyavati was a Kshatriya princess. Hence Parshuram was both a Brahmin (by his father) as well as a Kshatriya (by his mother and grandmother) by birth. There are three Gods/warriors in Hinduism who are Atimaharathis, meaning having mastery in the use of all types of weapons including all combat skills and battle formations. Besides, Atimaharathis are excellent war strategists. Parshuram is an Atimaharathi, the other two being Hanuman and Meghanad (eldest son of Ravana). Parshuram was born at a time when Kshatriyas were all powerful. But they misused their powers to create chaos on earth and tyrannized the innocents. Parshuram destroyed the evil Kshatriya warriors, sparing only those who followed rules of Dharma. His most used weapon was the axe, which he received as a boon from Mahadev. It was Mahadev who made him an expert in martial art and combat skills. He started his exploits as a warrior by killing a king named Kartavirya Arjuna who stole the family cow Surabhi (also regarded as Kamdhenu) from the hermitage. After the death of Kartavirya Arjuna, many Kshatriya warriors challenged Parshuram. He defeated and killed them all. He led twenty-one battles to victory. 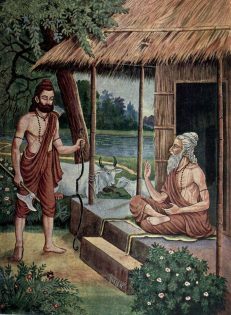 In the Mahabharata, Parshuram finds mention as the mentor of Bhishma, Dronacharya, and Karna. How is Parshuram Kund related to Parshuram? Rishi Jamadagni and Renuka had five sons. Parshuram was the youngest. Every morning Renuka aided Jamadagni in the rituals at the ashrama. She used to go to the river early morning for her bath as well as to bring water for the rituals. One day, she came late, as she was enchanted by songs sung by a group of Gandharvas (singers and players of musical instruments in heaven; they are husbands of Apsaras) on her way to the river. As Jamadagni was late to perform the rituals, he was angered. He could not control his anger when he saw Renuka. He at once ordered his sons to kill her. One by one all four elder sons refused to kill their mother. Jamadagni turned them into stones. Parshuram beheaded his mother Renuka with his axe. Pleased with his obedient son, Jamadagni told him to ask for a boon. Parshuram asked for his mother to be restored back to life. Renuka was brought back to life. Given the heinous crime he committed, the axe stuck in his hand. Nothing could remove it. It constantly reminded him of the crime he committed, even though his mother was brought back to life. 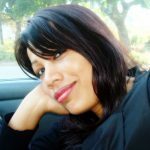 He repented for his crime and moved from place to place meeting Rishis and seeking salvation. He ultimately reached Arunachal Pradesh in the Himalayas at this site. An akashwani (voice from the sky, believed to of God) guided him to take a bath in the waters of the Lohit River. It was after Parshuram took a bath at the river that the axe got removed. It was Makar Sankranti. Since then this place came to be known as Parshuram Kund. It is believed those whose mothers are alive can visit the shrine but should not take a dip in the waters of the kund. An annual fair called Parshuram Kund Mela is celebrated near the pilgrimage site every year in the beginning of January. It is attended by hundreds and thousands of devotees from across the country. One can reach the place by road and the scenery around is a feast for the eyes. Mother Nature is in her abundance here. The nearest airport to Parshuram Kund is Mohanbari Airport in Dibrugarh while the nearest railway station is at Rupai Siding (my home town) in Tinsukia district, both in Assam. If you visit during Makar Sankranti or anytime between November to February, do not forget to carry winter-wear. A heavy cold wind blows during Makar Sankranti every year. Jai Shree Parshuram! Images clicked by Manobi Sinha and Bhaskar Sinha.